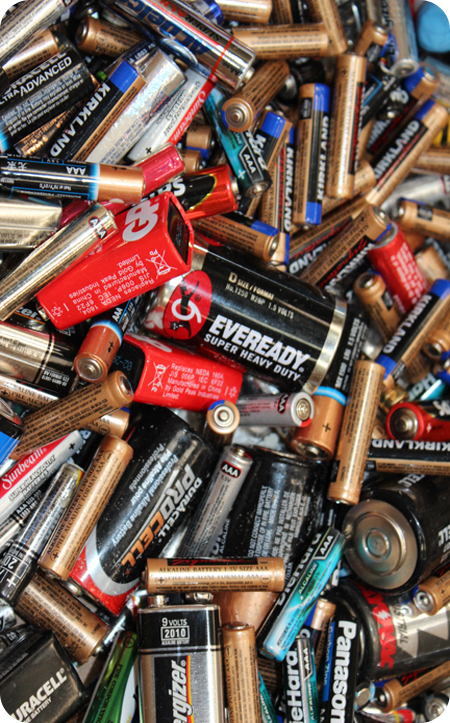 Drop off household batteries at a temporary Household Hazardous Waste Collection Event or Permanent Center. Check with your local electronics store or mobile phone provider for rechargeable battery disposal option. Check with your city or visit Earth911.com for more options. Check with Library locations for hours.